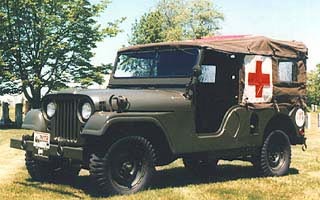 There have been many iterations of the 1/4 ton jeep over the years. The following is a chronological history of the 1/4 ton development program. Another version of this material can be seen at: http://www.film.queensu.ca/CJ3B/Poster.html There are some slight differences between publications on production figures so if you are serious about 100% accuracy, check the other sources including the link above as well. Saad Qureshi adds: "...the rear axle on M38 is a semi-floating type actually. However the front axle is full floating. 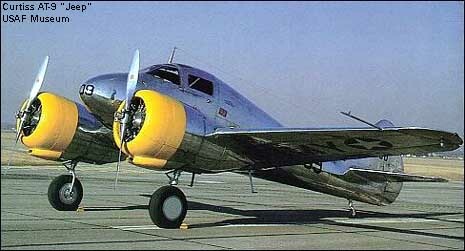 The rear axle on a MB was full floating"
The AT-9 advanced trainer was used to bridge the gap between single-engine trainers and twin-engine combat aircraft. The prototype first flew in 1941, and the production version entered service in 1942. the prototype had a fabric-covered steel tube fuselage and fabric-covered wings, but production AT-9s were of stressed metal skin construction. The AT-9 was not easy to fly or land, which made it particularly suitable for teaching new pilots to cope with the demanding flight characteristics of a new generation of high-performance, multi-engine aircraft such as the Martin B-26 and Lockheed P-38. 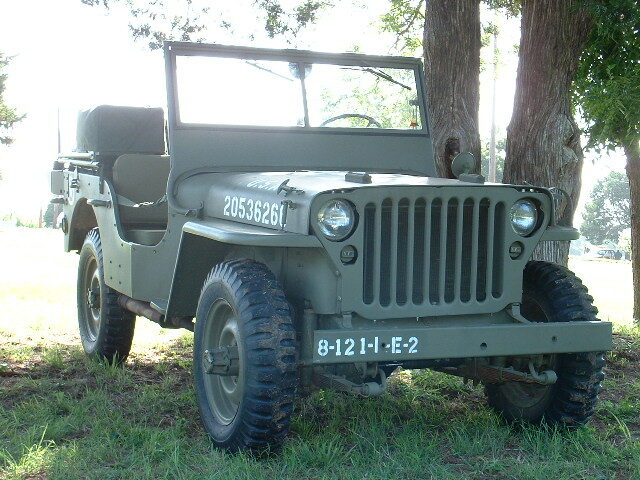 Although the AT-9 originally bore the nickname "Fledgling," it was more widely known as the "Jeep." Four hundred ninety-one AT-9's and three hundred AT-9A's were built before production ended in February 1943. Span: 40 ft. 4 in. Engines: Two Lycoming R-680-9s of 295 hp. ea. For additional information on each of these vehicle types as well as other military vehicles, I highly recommend purchase of "Standard Catalog of Military Vehicles, 2nd Edition" The author is David Doyle.